Ethics CORE, an interactive resource designed to provide researchers and professionals in the sciences, social sciences, engineering, and mathematics with information on ethical practices and materials on Responsible Conduct of Research (RCR), is now available at http://nationalethicscenter.org. The University Library played an integral role in the $1.5 million National Science Foundation (NSF) grant awarded to Illinois to develop the site, which is housed in the Grainger Engineering Library Information Center (see the 2010 project announcement at www.library.illinois.edu/news/NCPRE.html). Co-principal investigators include Taft Broome, Howard University (Civil Engineering); Nicholas Burbules, Illinois (Education); Michael Loui, Illinois, (Electrical and Computer Engineering); and William Mischo, Illinois (University Library). Press Release from the Coordinated Science Laboratory. 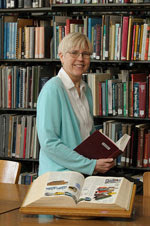 The University Library will receive a National Leadership Grant from the Institute of Museum and Library Services (IMLS). The Library will partner with the William R. and Clarice V. Spurlock Museum; the McLean County Museum of History; Heritage Preservation, Inc.; the Chicago History Museum; the Illinois Heritage Association; and the Illinois State Library to develop the Preservation Self-Assessment Program, a free computer-based tool that will help library, museum, and archives staff to conduct physical assessment and prioritization of preservation needs for paper-based and photographic materials. This tool will build upon the project director Jennifer Hain Teper‘s previous work developing a similar tool for assessing audio-visual collections, and will produce a detailed preservation report prioritizing collection items in order of preservation need. The tool will be designed to allow interoperation with other emerging software tools such as the open-source Archives Space collections management tool. 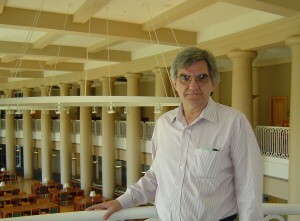 The Engineering Library Division of the ASEE (American Society for Engineering Education) Awards Committee has announced their 2012 award winners. Among them, the Committee extended an Honorable Mention to William Mischo and Mary Schlembach for their article “Open Access Issues and Engineering Faculty Attitudes and Practices,” published in the Journal of Library Adminstration, Volume 51, No. 5-6. The article gives a “very clear explanation of how OA has evolved and the role it plays in the engineering literature” and “provides a good road map in how to get engineering faculty engaged in the discussion of such issues.” The article greatly impressed the Awards Committee and provided a real challenge for decision making.